Mixed Media Layers with My eBrush! I am so in love with this cool mixed media piece! I can't wait to try it! 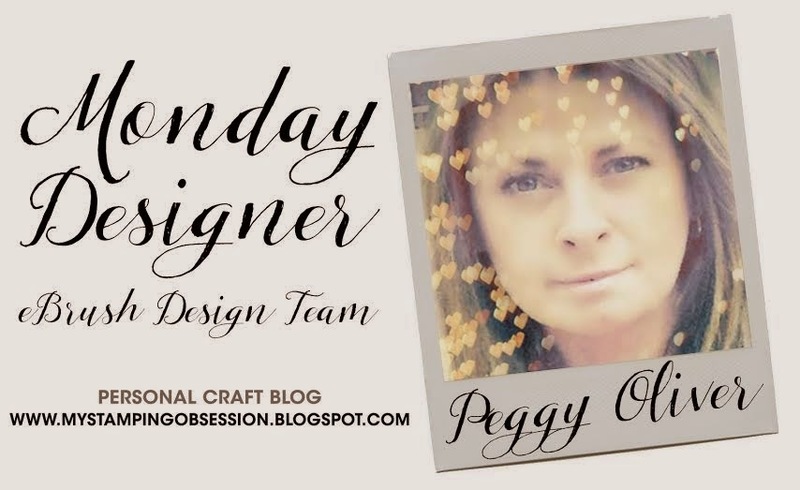 Peggy Oliver WOW! 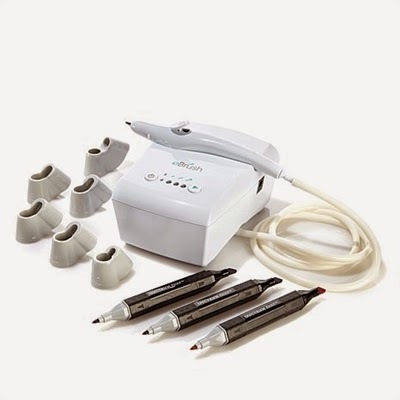 The eBrush and Peggy make mixed media sing! Hello! 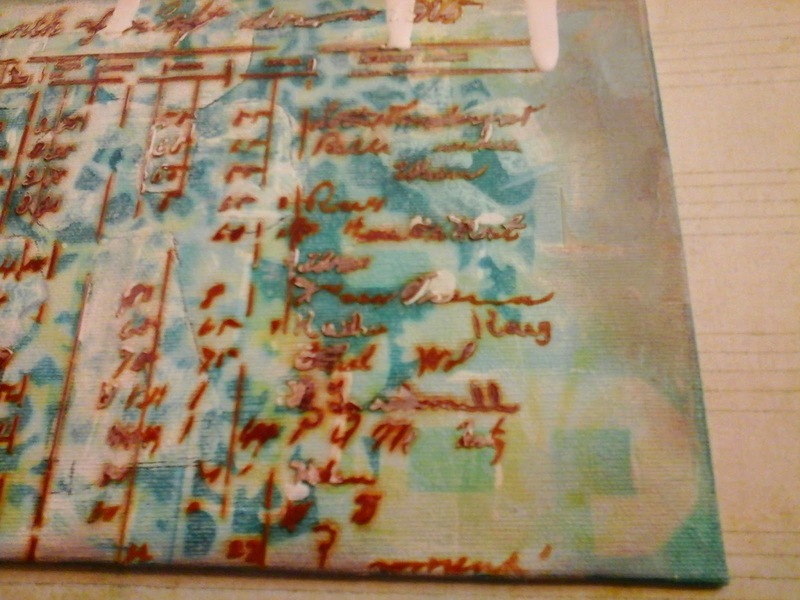 Peggy here to show you my latest mixed media canvas using acrylic paints and my eBrush! I prepped my canvas with white gesso and completely dried before starting. 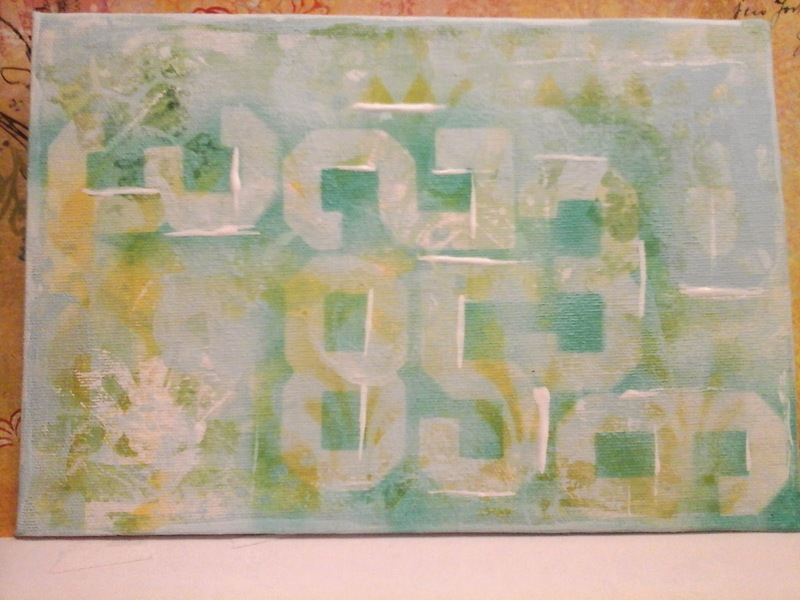 Next I added my background color with acrylic paint in a light blue. 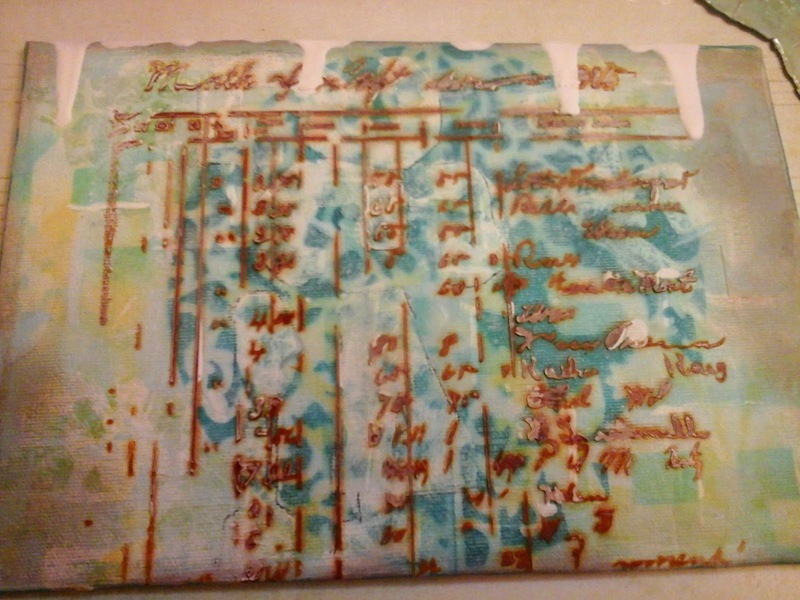 Then I added some texture with Golden Molding Paste and a hexagon stencil. I got impatient with the drying time on the molding paste so I switched up and used gesso as ink for some masks of a fleur de lis to offset all the blue. Next I brought out my eBrush and stenciled to my hearts content with bright yellow and green using my Spectrum Noir Markers. 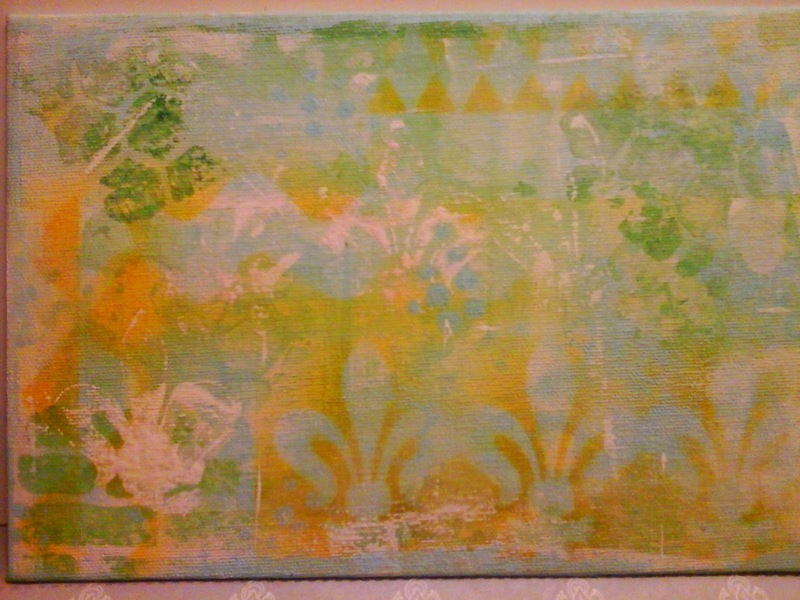 To tone this all down I used a watered down gesso mixture and applied using a credit card. 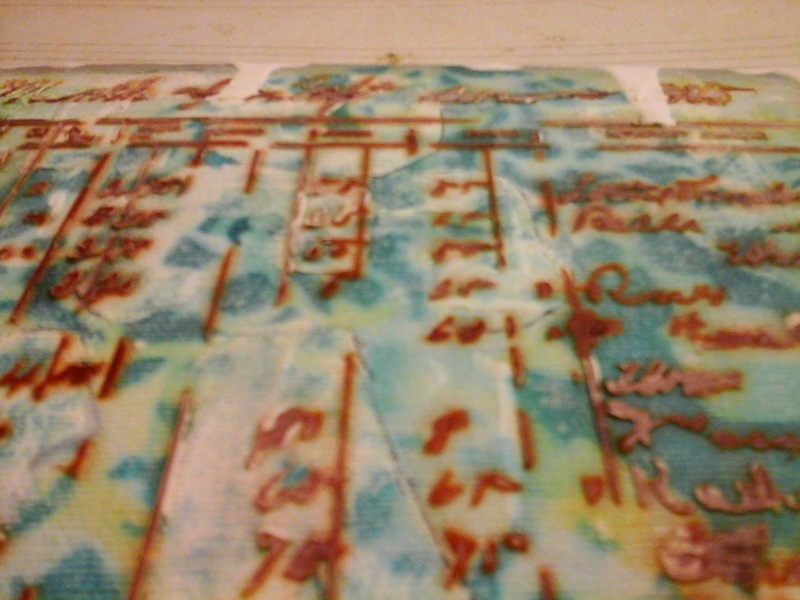 You can see my mixture of water and gesso is still transparent enough to see the yellow and blue . I used about six numbers as masks. These particular masks are actually stickers placed in formation and sprayed with my eBrush in BT5 Spectrum Noir markers. 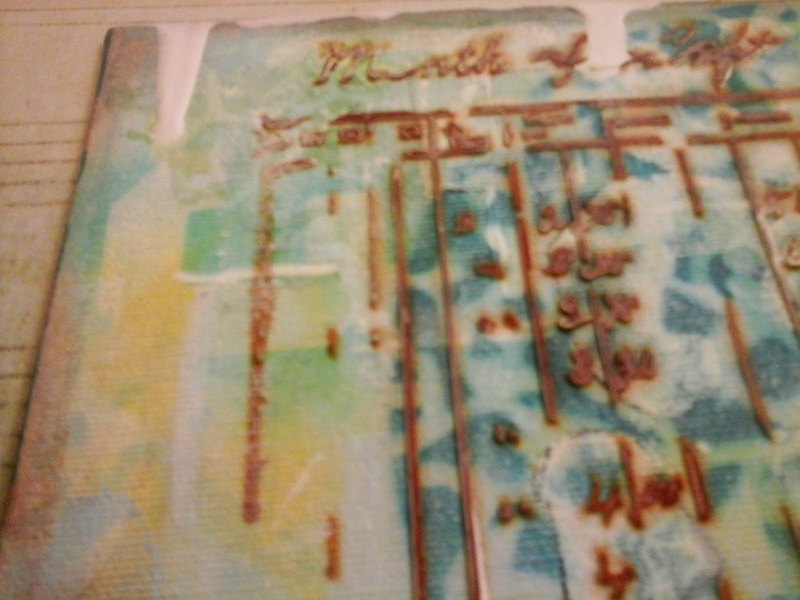 I also used the side of the credit card to make lines on the numbers only going vertically and horizontally.. I brought out a die from Tonic Studios, my eBrush and a Spectrum Noir Marker. I taped my edges down with painters tape and around the die to prevent over spray. 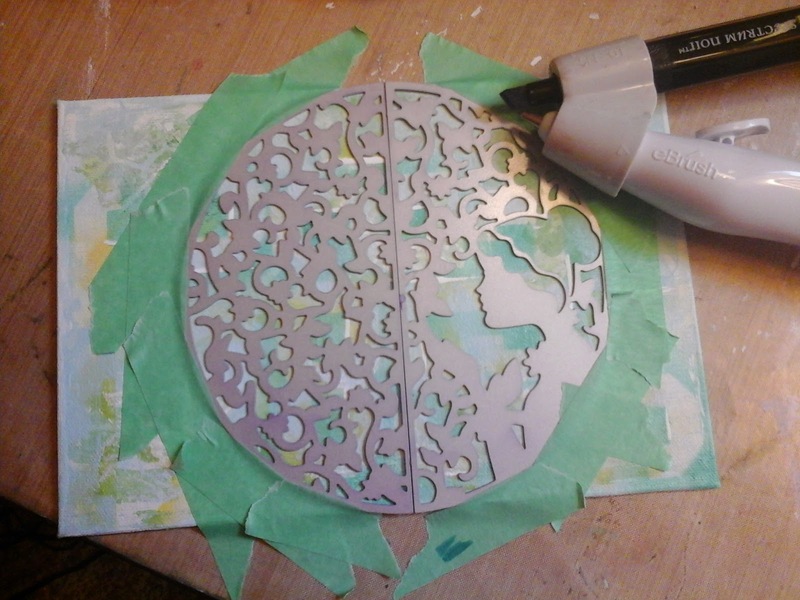 I turned on my eBrush machine on the second pressure light and proceeded to cover the entire die. Next I added some white gesso and water again to tone down the color. I wanted more texture so out came the molding paste again. This time after drying I put the stencil back on the in the same place and eBrushed just the raised portion of the molding paste. I love the effect.! 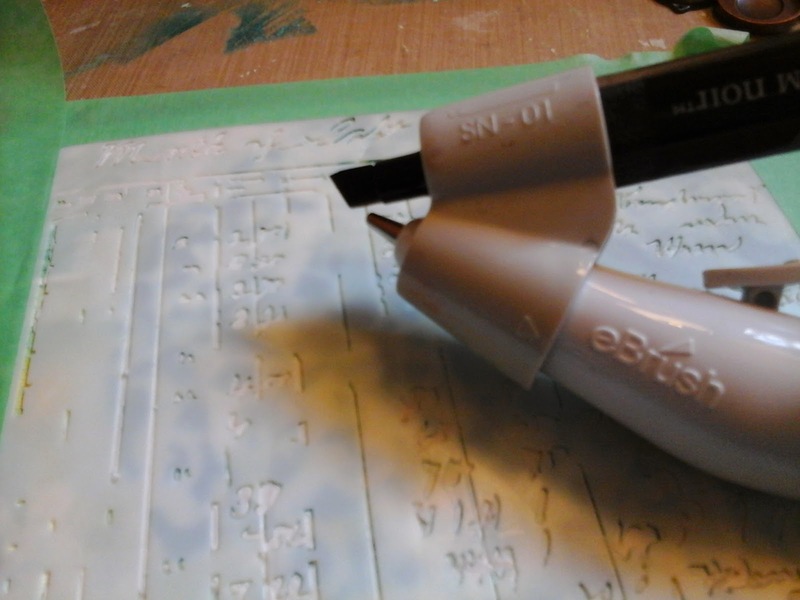 White gesso was used again on the tips of some of the raised image and also used to drip down the top of the canvas. Lastly I darkened up the edges with distress inks. I just can't stop adding layers.. so fun! I hope you have enjoyed my tutorial and I encourage You to try this technique! Above all have Fun!! Thanks for stopping by QuiltShopGal!